Although delegates of the United Workers Party (UWP) have booted Roseau South Member of Parliament Joshua Francis from his post of deputy political leader Francis says has "no hate or malice in his heart for members of the UWP". But that did not prevent Francis from lashing out at his party members just after the delegates voted 185 to five to kick him out. 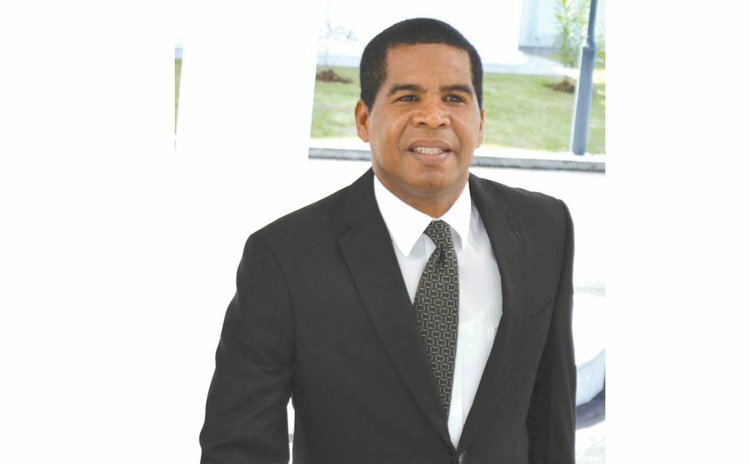 Saying that it is rather unfortunate that in modern Dominica, a party which has portrayed itself to form the next government of Dominica will not allow one of its own to speak. That, he said, was "frightening, unfortunate" and called on Dominicans to "open their eyes." Yet, he says, he is still a member of the UWP. "I continue to be a member of the United Workers Party; I have never placed on record whether private or public that Joshua Francis is not a member of the UWP. Speculations have arisen, accusations have been hurled, rumours have been perpetuated, allegations have been fired against me. I have kept my calm. I have been silent, meek and gentle. I have not hit back," he said. And it is not true that he is considering a walk across the parliamentary floor to the Labour Party, he said. "I have never had any discussions with the Dominica Labour Party (DLP) as far as crossing the floor is concerned. I have never, ever met with the Prime Minister to discuss issues of crossing the floor," Francis said. And despite the war of words with members of his party, Francis says he loves them. "Despite the differences between me and certain members of the party, I have no hate or malice in my heart. I have absolutely nothing personal against anyone of the United Workers Party," the Roseau South MP stated. When asked about his next move, Francis said: "I will be meeting with the people. Joshua Francis is involved in politics not for party, not for the big man or the small man but for everybody. I am in politics for Dominica particularly the poor, weak and marginalized. I don't need politics. I feel that God has put me in politics for a reason; it is a calling. I am not a weakling and will not allow aggression, hostility and illegality to intermediate me." Two days after he was kicked out as the deputy leader of the party, Francis was present at the weekly executive meeting of the UWP. "In love I went in, in love I went out…I am a man of love, my brother," Francis told the Sun. "Joshua is about love and peace and reconciliation. It's a chess game, a science is taking place, let's see who is going to be the victor, let's see who learnt science better at school. I don't play chess game but clearly they are playing it, I am a spectator, I am not affected; I am not infected or affected." Asked if he is worried that he may be suspended from parliament based on the allegations of inappropriate behaviour with a minor levelled against him and that he has a matter pending before the court, Francis said: "At this hour I am not interested in that. I am interested in my people, that is where my focus is and that is where it will stay."